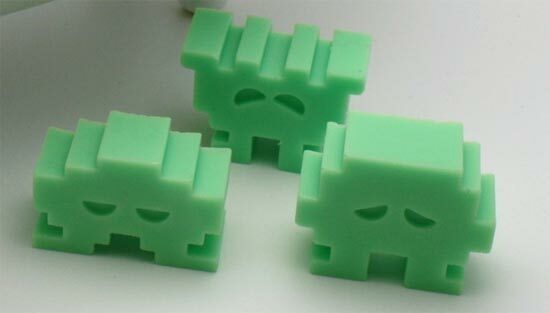 Geeky soaps seem to be very fashionable at the moment, from the Wiimote Soap, to the iPhone Soap, the latest geek soap is these fun mini Space Invaders soaps. 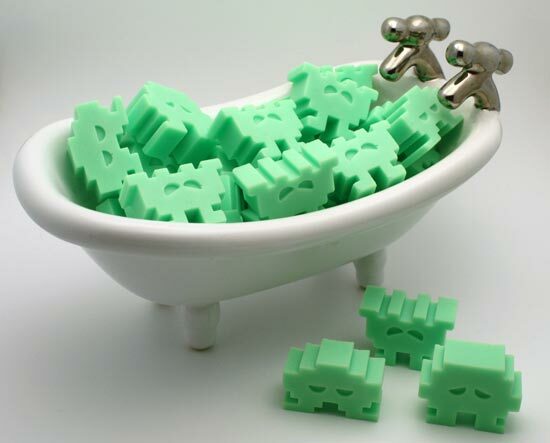 Each one of these mini Space Invaders Soaps measures 1 inch x 1inch, and they are designed to be used individually, each one is enough for 1-2 uses. They come in a pack of 24, and they can be ordered in a variety of fragrances, an ideal addition to any geeks apartment. If you want a pack they are available for $5.50 from KrazyK.